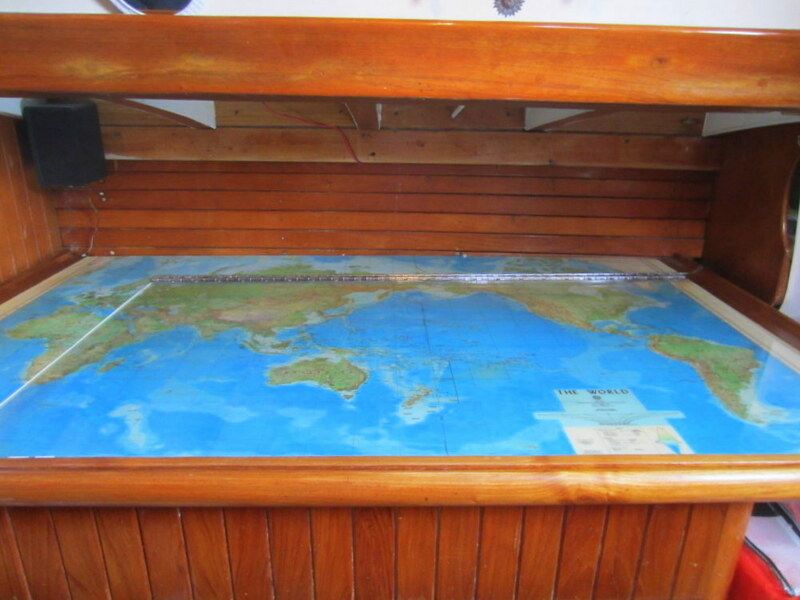 My chartkits are on top of the water tank in my cabin -- there is 4" between the top of the tank and the bottom of the berth, so it made sense to make use of that flat surface. Years ago they were stored behind a bookcase my dad built -- wedged between bookcase and bulkhead. Smaller chartkits (the half-sized ones) are in a drawer of the same bookcase. I've seen them tucked under unused bunks in cabins and some folks have them against the bulkhead where their feet are by the nav-station. A piece of Plexiglass holds the charts flat. My considerations for placement were dryness (no mildew or drips/dampness) and I didn't really concern myself with accessibility as these aren't an emergency get-to right away item. They are out and in use. When I get near (within a week) of the next chart, it comes out too so I'm ready. Paper Charts? I store them overboard. I've built a shelf over my v-berth. there is about 5 inches of storage up there, charts lie flat, are easy to get to and the shelf doesn't steal headroom since it is at teh foot of the bed. rebel heart - well bully for you! In a chart folder (half sized) works well - but only if you have a big enough bunk / settee to store it under! 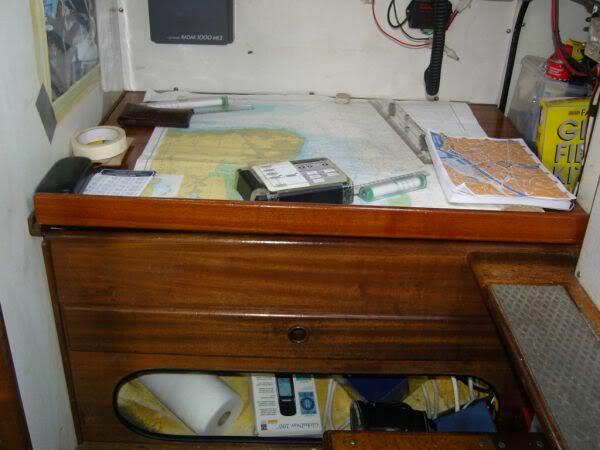 Me doesn't on current boat , so I use the chart drawer under the chart table - both only half sized and drawer only 4 inches deep, if I ever go anywhere that might become a problem , but one of the penalties with only being 30' are trade offs on space .